Download quote PDFs : When using Sugar versions 8.3.0 and higher, it is now possible to download quote PDFs from quote records using the templates configured on your Sugar instance. Attach files while offline : Users may now attach files and images to records when SugarCRM Mobile is offline. This queues the files to be uploaded to the Sugar instance when the connection is restored. 80302 : Filtering the Global Search page using the Recently Viewed option does not display recently viewed email records as expected. 72112 : If offline mode is enabled in Admin > Mobile, any newly enabled modules will not work. The Administrator will need to disable offline mode, enable desired modules, and then re-enable offline mode. 71830 : If a module is disabled after offline mode is enabled, users may receive an offline error. To remove the error, disable and re-enable Offline Mode in Settings within the SugarCRM Mobile application. 70728 : Role restrictions on the Notes module's Attachment field may prevent simultaneous reassignment of the note and uploading of an attachment. Users should save the note after adding the attachment prior to reassigning the note. 68359 : Relationship fields and subpanels may show outdated information in offline mode due to the automatic refresh of the downloaded record not including both sides of relationship changes. 67146 : SugarCRM Mobile allows opportunities to be saved with account records which were deleted in the Sugar Instance. 67145 : Role-level access restrictions may be out of date as users must log out and back into the app before role changes made in the instance while their device was in offline mode are reflected in the app. 67136 : Users with a role allowing owner-only listing of records are incorrectly able to see other user's records in list views. 67134 : Selecting a contact or lead in a call's or meeting's Relate To field while in offline mode does not show the meeting or call on the contact's or lead's subpanel. 67130 : Role restrictions on viewing records in the Meetings module may cause an error when creating a new meeting assigned to a different user. 65722 : Custom sales-type module does not display its Amount US Dollar field with the correct currency symbol on list view when the record's currency is not the default system currency. 63809 : Initial access to the context-sensitive menu of a report record's list does not display the File icon as expected. 63675 : Assignment notification emails are sent improperly to the logged in user when assigning a call or meeting to themselves. 62815 : After making a call directly from a record, users are not always prompted to log the call as expected. 61160 : Languages marked as disabled in the Sugar instance are still available for use in SugarCRM Mobile. 58252 : The Map action button is only available for address-type fields when the field's database name includes the word "address". Sugar offers the most innovative, flexible and affordable CRM in the market and delivers the best all-around value of any CRM. 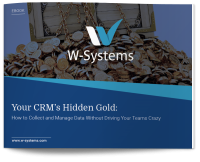 Discover a vastly more effective and less intrusive way to manage your interactions data in your CRM. 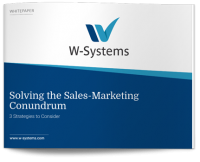 Here are three strategies to consider to get your sales and marketing teams more closely aligned.